I am a sucker for picture books and rhyming; in my eyes there isn't much better in life than snuggling up with my kids and reading about scaredy cat pirates or giraffes that are afraid of heights! 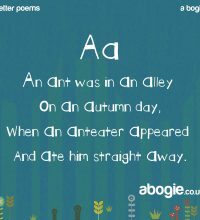 I am fascinated by how children learn to read and I'm convinced that rhyming and poetry are a huge help in learning language and reading skills. 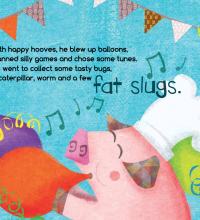 I hope this website, my books and poetry can be used as an aid for children to learn to read and have fun doing so. 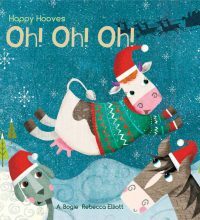 Happy Hooves – Oh! Oh! Oh! Happy Hooves – Ta Dah! Repetitive reading. Can we read it again… and again… and again?! Inspiration for kids... I like this. 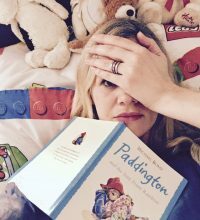 Anna lives in Gibraltar with her husband and three young children and has one of the best names ever for a children's author (A Bogie)! 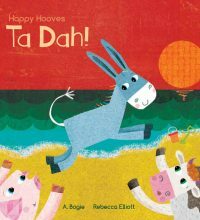 Anna's debut picture book series, Happy Hooves, was inspired when she lived in the top of a rustic farmhouse which had the most amazing far reaching views of rolling hills and the ocean. Farm animals would lazily potter about all day and it was from here that her stories came to life. 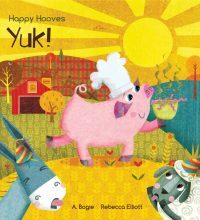 The third in the Happy Hooves series, called Yuk!, was published in September 2016 and she is also working on a further children’s picture book with a big children’s charity in the UK.